Finally, here's a guide for people who love good food and the great outdoors. 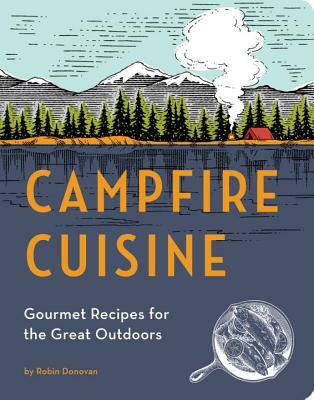 Campfire Cuisine provides more than 100 recipes for delicious, healthy, satisfying meals to make at your campsite or in any outdoor setting. Also included are tips on meal planning, shopping, and choosing the right equipment. Armed with Campfire Cuisine everyone from die-hard foodies to novice cooks will be ready to take on eating well while camping out. ROBIN DONOVAN is an experienced camper and a freelance journalist, book author, blogger, and editor specializing in food, cooking, travel, and other lifestyle topics. She lives in San Francisco. Find out more at robindonovan.com.